Fresh out of the University of Arkansas two years ago, Omar Kasim made an impact on the Northwest Arkansas startup scene with his first venture, a fast-casual fusion taco restaurant called Con Quesos on Martin Luther King Jr. Boulevard in Fayetteville. He’s no longer running that business, though. His day-to-day involvement ended abruptly in April when he was forced out by an investor, and though Kasim said the experience was difficult, it brought with it a realization. “Sometimes, not getting what you want can be a wonderful stroke of luck,” he said. Kasim, 23, is now opening a cold-pressed juice bar called Juice Palm. The first location is planned to open in late November at the Uptown Fayetteville Apartments + Shops, near the corner of East Joyce and North Steele boulevards. In addition to juice blends with names like “Feel Refreshed,” containing kale, cucumber, lemon, green apple and mint, “Feel Balanced,” with green vegetables, lemon, Himalayan salt and chia seeds, and “Feel Vibrant,” with pineapple, orange, lemon and ginger, Juice Palm will serve “superfood” smoothies, acai bowls and salads in-house, while also offering grab-and-go meals and selling staples like organic milk and produce. The focus is on “health-driven,” raw foods, according to the website. “It can be so hard to get a healthy meal when you’re busy,” Kasim said. His vision is to become a dependable source for quality foods, where everything is preservative-free and USDA-certified organic. As owner/operator, he is determined to make Juice Palm Arkansas’ first USDA-certified organic restaurant and was knee-deep in the certification process months before the planned opening. In addition to the food, Kasim plans to use all organic products, down to dish detergent and sanitizer. Kasim believes some businesses don’t go that route because of the cost, and others forego USDA certification because it’s a rigorous process. Business owners must track produce sources down to the lot numbers and endure random audits. Construction is now underway on the ground-floor commercial property at Uptown, and Kasim said Juice Palm will be the first business to make its debut. The Uptown project was developed by Fayetteville-based Specialized Real Estate Group. The first of its residential buildings opened in December, and the complex is 70% leased and 65% occupied, said Sarah King, director of marketing and community outreach. Commercial leasing agent Hunter Thomason said the juice bar concept was a good fit for Uptown. Thomason said Kasim signed a 10-year lease. Daniel Hintz, CEO of Velocity Group and a developer of the 8th Street Market in Bentonville, confirmed a deal is also in the works to open a Juice Palm at the market. The location, where the business’ production processes also would be on display, could possibly be open next summer. Kasim said he is also in negotiations for a Juice Palm on the UA campus this spring. Kasim plans to teach an entrepreneurship class this spring at the UA’s Sam M. Walton College of Business. He already gives back to his alma mater by regularly mentoring students, and he also advises fellow entrepreneurs from throughout Northwest Arkansas through Startup Junkie Consulting. He enthusiastically shares his experiences with others, in hopes they can learn from them. Kasim graduated from Walton College in May 2015. Eight months later, Con Quesos’ doors were open, and he began a crash course in restaurant management. Kasim said the business did well, but in the months following cracks began to form in his relationship with the primary investor, Dallas-based Ziad Dalal, CEO of a company called Crest Foods that runs 165 Nestle Toll House Cafes in the U.S., Canada and the Middle East. The two had disagreements on pricing and other operational decisions. On a planned visit to Con Quesos the morning of April 28, Dalal informed Kasim he was fired from overseeing operations at the restaurant and asked for his keys. Kasim, effectively, was pushed out from the restaurant he conceptualized, though he maintains some ownership, he said. Now, Kasim recognizes errors he made in setting up the investment relationship on the front end, but initially he was shocked by his removal from Con Quesos. The first person he called was a friend, Tom Gordon, the president and CEO of Fayetteville-based Slim Chickens. “I just told him, ‘Keep your head up. These are the learnings that will guide your future moves in the business world,’” Gordon recalled. 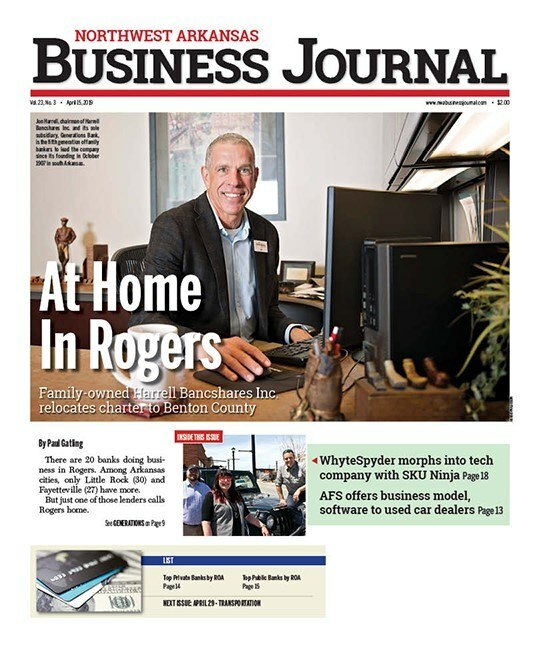 Dalal told Talk Business & Poltics-Northwest Arkansas Business Journal in a phone call the company made the decision to bring in a “more accomplished, more seasoned” industry veteran to run Con Quesos. He says business at the restaurant is still good. Meanwhile, Kasim said the story he now tells others is one of resilience. “It doesn’t matter what happens to you in life. Whether you don’t get what you want — like you don’t get the grade you want or you get the company that you started from the ground up taken from you — there’s always opportunity waiting around the corner. It’s just a matter of being ready,” he said. After Con Quesos, Kasim appreciates that veteran entrepreneurs did not offer many condolences but instead simply said, “OK. What’s next?” He immediately jumped into the Juice Palm venture, funded this time with a U.S. Small Business Administration-backed loan, rather than private capital. Kasim has learned an open mind and optimism are indispensable in business, as is persistence. He said it’s like blackjack.